This week we once again read a double parasha, Behar and Bechukotai. The latter is famous for its list of blessings, and curses, should Israel faithfully follow God’s law, or not. In Leviticus 26:33, God warns that “I will scatter you among the nations, and I will draw out the sword after you; and your land shall be a desolation, and your cities shall be a waste.” These prophetic words have, of course, come true in Jewish history. Israel has indeed been exiled to the four corners of the world, and experienced just about every kind of persecution. Yet, within every curse there is a hidden blessing. 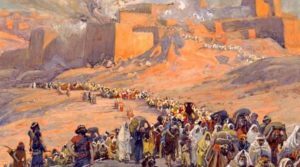 ‘The Flight of the Prisoners’ by James Tissot, depicting the Jewish people being exiled to Babylon. The Talmud (Pesachim 87b) states that the deeper purpose of exile is for the Jews to spread Godliness to the rest of the world. After all, our very mandate was to be a “light unto the nations” (Isaiah 42:6) and to spread knowledge of Hashem and His Torah. How could we ever accomplish this if we were always isolated in the Holy Land? It was absolutely necessary for Israel to be spread all over the globe in order to introduce people to Hashem, to be a model of righteousness, and to fulfil the various spiritual rectifications necessary to repair this broken world. The Arizal explains that by praying, reciting blessings, and fulfilling mitzvot, a Jew frees the spiritual sparks trapped within the kelipot, literally “husks”. This idea hearkens back to the concept of Shevirat haKelim, the “Shattering of the Vessels”. The Arizal taught that God initially crafted an entirely perfect universe. Unfortunately, this world couldn’t contain itself and shattered into a multitude of pieces, spiritual “sparks” trapped in this material reality. While God had rebuilt most of the universe, He left it to Adam and Eve to complete the rectification through their own free will. They, too, could not affect that tikkun, and the cosmos shattered yet again. The process repeated itself on a number of occasions, the last major one being at the time of the Golden Calf. Nonetheless, with each passing phase in history, more and more of those lost, trapped sparks are rediscovered and restored to their rightful place. The mystical mission of every Jew is to free those sparks wherever they go. The Arizal speaks of this at great length, and it permeates every part of his teachings. Eating, for example, serves the purpose of freeing sparks trapped within food—which is why it is so important to consume only kosher food, and to carefully recite blessings (which are nothing but fine-tuned formulas for spiritual rectification) before and after. The same is true with every mitzvah that we do, and every prayer we recite. Thus, while exile is certainly difficult and unpleasant, it serves an absolutely vital spiritual purpose. This is why the Midrash states that exile is one of four things God created regretfully (Yalkut Shimoni on Isaiah, passage 424). It is why God already prophesied that we would be exiled—even though we hadn’t yet earned such a punishment! And it is why God also guaranteed that we would one day return to our Promised Land, as we have miraculously begun to do in recent decades. 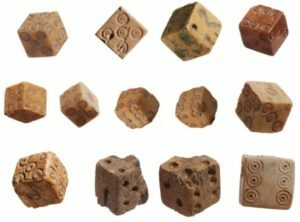 Four, Five, or Eight Exiles? In Jewish tradition, it is said that there are four major exiles: the Babylonian, the Persian, the Greek, and the Roman. We are still considered to be within the “Roman” or Edomite (European/Christian) exile. Indeed, the Roman Empire never really ended, and just morphed from one phase into another, from the Byzantine Empire to the Holy Roman Empire, and so forth. This idea of four exiles originated with Daniel’s vision of four great beasts (Daniel 7:3-7). 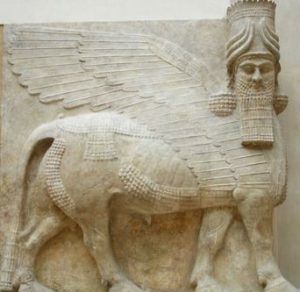 The first was a lion with eagle wings—a well-known symbol of ancient Babylon. Then came a fierce bear, an animal which the Talmud always likens to the Persians. The swift leopard represents the Greeks that conquered the known world in lightning speed under Alexander the Great. The final and most devastating beast is unidentified, representing the longest and cruelest exile of Edom. The Midrash states that Jacob himself foresaw these exiles in his vision of the ladder (Genesis 28). 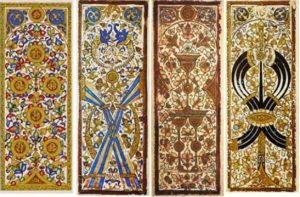 There he saw four angels, each going up a number of rungs on the ladder equal to the number of years Israel would be oppressed by that particular nation. The last angel continued to climb ever higher, with Jacob unable to see its conclusion, alluding to the current seemingly never-ending exile. The big question is: why are these considered the four exiles. Haven’t the Jewish people been exiled all around the world? Have we not been oppressed by other nations besides these? The Arizal explains (Sha’ar HaMitzvot on Re’eh) that while Jews have indeed been exiled among all seventy root nations, it is only in these four that all Jews were exiled in. Yet, he maintains that any place where even a single Jew has been exiled is considered as if the entire nation was exiled there. The Arizal further explains that these four exiles were already alluded to in Genesis 2:10-14, where the Torah describes the four rivers that emerged from Eden. Each river corresponds to one exile. The head river of Eden that gives rise to the other four corresponds to the very first exile of the Jews, the exile within which the Jewish people were forged: Egypt, the mother of all exiles. We know that before the Babylonians came to destroy the Kingdom of Judah and its capital Jerusalem, the Assyrians had destroyed the northern Kingdom of Israel with the majority of the Twelve Tribes. We also know that the Persians were united with the Medians. Technically speaking, Alexander the Great was not a mainstream Greek, but a Macedonian. While he was the one who conquered Israel, his treatment of the Jews was mostly fair. It was only long after that the Seleucid Greeks in Syria really tried to extinguish the Jews. Thus, the doublets are Assyria-Babylon (Ashur-Bavel), Persia-Media (Paras-Madai), Macedon-Greece (Mokdon-Yavan), with the final doublet being Edom-Ishmael. The latter has a clear proof-text in the Torah itself, where we read how Esau (ie. Edom) married a daughter of Ishmael (Genesis 28:9). The Sages suggest that this is an allusion to the joint union between Edom and Ishmael to oppress Israel in its final exile. The Arizal certainly knew the above, so why does he speak of a fifth exile under Ishmael, as well as a fifth (original) exile under Egypt? One of the most well-known principles in Kabbalah is that “the end is wedged in the beginning, and the beginning in the end”. What the Arizal may have been hinting at is that the final Ishmaelite exile is a reflection of the original Egyptian exile. Indeed, the Arizal often speaks of how the final generation at the End of Days is a reincarnation of the Exodus generation. (According to one tradition, there were 15 million Jews in ancient Egypt, just as there are roughly 15 million in the world today.) The first redeemer Moses took us out of the Egyptian exile, and we await Moses’ successor, the final redeemer Mashiach, to free us from the Ishmaelite exile. In highly symbolic fashion, the land of ancient Egypt is currently occupied by Muslim Arabs. The Ishmaelites have quite literally taken the place of ancient Egypt. Come to think of it, the lands of all the four traditional nations of exile are now Ishmaelite: Bavel is Iraq, Paras is Iran, Seleucid Greece is Syria, and the Biblical land of Edom overlaps Jordan. The four rivers of Eden would have run through these very territories. It is quite ironic that Saddam Hussein openly spoke of himself as a reincarnated Nebuchadnezzar, seeking to restore a modern-day Babylonian Empire. Meanwhile, each day in the news we hear of the looming Syria-Iran threat. Just as Egypt was the mother of all four “beasts”, it appears that the four beasts converge under a new Ishmaelite banner for one final End of Days confrontation. 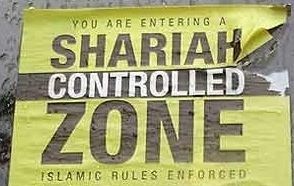 In 2017, Swedish police admitted that there are at least 23 “no-go” Sharia Law zones in their country. It is important to note that when Scripture speaks of the End of Days, it is not describing a regional conflict, but an international one. The House of Ishmael is not a local threat to Israel alone, or only to Jewish communities, but to the entire globe. Every continent has felt the wrath of Islamist terrorism, and whole communities in England, France, and even America have become cordoned off as “sharia law” zones. Ishmael is even a threat to himself. Muslims kill each other far more than they kill non-Muslims. In 2011, the National Counter-Terrorism Center reported that between 82% and 97% of all Islamist terror victims are actually Muslim. All but three civil wars between 2011 and 2014 were in Muslim countries, and all six civil wars that raged in 2012 were in Muslim countries. In 2013, the U.S. Commission on International Religious Freedom showed that 10 of the 15 most intolerant and oppressive states in the world were Muslim ones. The Torah wasn’t wrong when it prophesied (Genesis 16:12) that Ishmael would be a “wild man; his hand against every man, and every man’s hand against him, and upon all of his brothers he will dwell.” Every Jew—and every human being for that matter—is experiencing an Ishmaelite exile at present. There is one more way of looking at the four exiles: not as specific nations under whom we were once oppressed, but as four oppressive forces that have always constrained Israel, and continue to do so today. These are the four root issues plaguing the Jews, and keeping us in “exile” mode. The first is Edom, that spirit of materialism and physicality embodied by Esau. Unfortunately, such greed and gluttony has infiltrated just about every Jewish community, including those that see themselves as the most spiritual. The second, Bavel, literally means “confusion”, that inexplicable madness within the Jewish nation; the incessant infighting, the divisiveness, and the sinat chinam. Yavan is Hellenism, or secularism. In Hebrew, the word for a secular Jew is hiloni, literally a “Hellene”. Just as this week’s parasha clearly elucidates, abandoning the Torah is a root cause of many ills that befall the Jews. Finally, there is Paras. It was because the Jews had assimilated in ancient Persia that the events of Purim came about. Paras represents that persistent problem of assimilation. It is important to point out that assimilation is different from secularism. There are plenty of secular Jews that are also very proud Jews. They openly sport a magen David around their neck, worry every day about Israel, want their kids to marry only other Jews, and though they don’t want to be religious, still try to connect to their heritage, language, and traditions. The assimilated Jew is not that secular Jew, but the one that no longer cares about their Jewish identity. 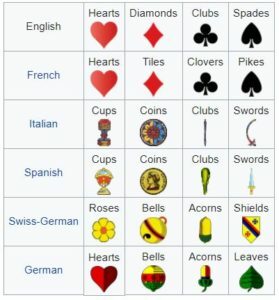 It is the Jew that entirely leaves the fold. Sometimes, it is the one that becomes a “self-hating” Jew, or converts to another religion. Such Jews have been particularly devastating to the nation, and often caused tremendous grief. Some of the worst Spanish inquisitors were Jewish converts to Catholicism. Karl Marx and the Soviet Communists that followed are more recent tragedies. Not only do they leave their own people behind, they bring untold suffering to their former compatriots. While there may be literal Babylonians, Persians, Greeks, and Edomites out there, the bigger problem for the Jewish people is the spiritual Bavel, Paras, Yavan, and Edom that infects the hearts and minds of the nation: infighting, assimilation, secularism, materialism. It is these issues that we should be spending the most time meditating upon, and expending the most effort to solve. Only when we put these problems behind us can we expect to see the long-awaited end to exile. 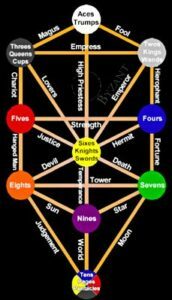 This entry was posted in Kabbalah & Mysticism, Mashiach & End of Days, Mysteries & Origins, Prophecy and tagged Adam and Eve, Alexander the Great, Anti-Semitism, Arabs, Arizal, Assimilation, Assyrians, Babylon, Bechukotai (Parasha), Blessings, Civil War, Curses, Daniel, Edom, Egypt, End of Days, Esau, Europe, Exile, France, Galut, Garden of Eden, Germany, Greece, Hellenism, Iran, Ishmael, Ishmaelites, Islam, Jacob, Jacob's Ladder, Kabbalah, Kelipot, Kingdom of Israel, Kingdom of Judah, Light Unto the Nations, Macedonians, Mashiach, Medians, Midrash, Moses, Nebuchadnezzar, Persia, Persian Empire, Pesachim (Tractate), Prophecy, Refugees, Roman Empire, Romans, Secularism, Seleucids, Sha'ar HaMitzvot, Sharia Law, Shattering of the Vessels, Shevirat HaKelim, Sinat Hinam, Sparks, Sweden, Syria, Terrorism, Tikkun on May 8, 2018 by Efraim Palvanov. Hearing this story immediately sets off some alarms. Firstly, Napoleon was no ignoramus, and was certainly well aware of the destruction of the Temple (after all, the Temple is featured in the “New Testament” and plays an important role in Christian history as well). More notably, Napoleon was a military man his entire life; his biography is the very definition of a tough guy. This man lived by the sword—it is highly unlikely that he would praise people for sitting and crying about something. 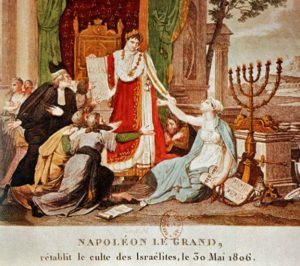 Napoleon would actually play a tremendous role in Jewish history, and might even be credited with starting the process of “redeeming Palestine”. It was Napoleon that ushered in the “emancipation” of Jews in Europe. Wherever he conquered, he would free the Jews from the ghettos, and give them equal rights. 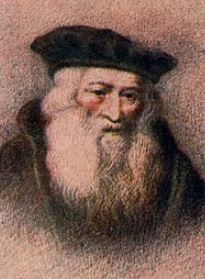 In France, he went so far as to declare Judaism one of the state’s official religions in 1807. Napoleon also famously sought (and failed) to re-establish the Sanhedrin. 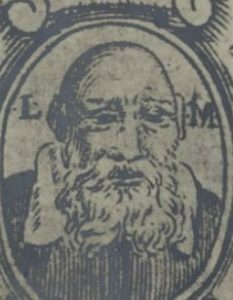 In order to destroy the foundations of the Churches of Christendom, the Emperor of the French has invited into his capital all the Judaic synagogues and he furthermore intends to found a new Hebrew Sanhedrin—the same council that the Christian Bible states condemned to death (by crucifixion) the revered figure, Jesus of Nazareth. As it turned out, opening the doors for Jews to serve in the French military would lead to the proliferation of the Zionist movement, and the establishment of the State of Israel. In 1894, Theodor Herzl was a young journalist working in Paris. 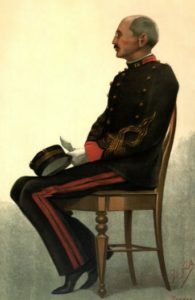 He was covering the infamous “Dreyfus affair”, where a Jewish captain in the French military, Alfred Dreyfus, was wrongly accused of treason. During this time, Herzl witnessed the extreme anti-Semitism of the French firsthand. He realized that no matter how much the Jews assimilate, they would still never be accepted into European society, and reasoned that the Jews must have their own free state. Thus, it was a Jewish soldier in the French military—what Napoleon so dearly wanted—which catapulted the Zionist movement. Interestingly, Napoleon himself seemed to have supported the notion of a Jewish state in Israel. In 1799, before he was emperor, and while besieging the city of Acre in Israel, Napoleon issued a proclamation inviting “all the Jews of Asia and Africa to gather under his flag in order to re-establish the ancient Jerusalem. He has already given arms to a great number, and their battalions threaten Aleppo.” Ultimately, the British defeated Napoleon’s forces, and the plan never materialized. Nonetheless, Napoleon’s role in igniting the flames of Zionism cannot be overlooked. Zionism was primarily a secular movement, its most fervent supporters being assimilated European Jews who, like Herzl, were frustrated that they were still hated and unwanted in European society. This secularism was a direct result of Napoleon’s campaigns. 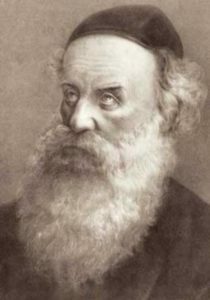 Without his spearheading of the Jewish “emancipation”, it is doubtful that there would have ever been a Zionist movement to begin with. And although there is much to criticize about Zionism, these mostly secular European Jews succeeded in re-establishing a free Jewish state in the Holy Land after two very long millennia. Yes, the Israeli government is unfortunately secular, and Mashiach has not yet come, and there is a great deal of work to do to restore a proper Jewish kingdom as God intended. However, the State of Israel allowed for the majority of Jews to return to their homeland, escape persecution, live openly as Jews, fulfil mitzvot only possible in the Holy Land, and travel freely to Jerusalem. Israel is undoubtedly paving the way for the Final Redemption, which is why many great rabbis of recent times have described it as reshit tzmichat geulatenu, the first steps of the redemption. And Mount Zion shall be a refuge, and it shall be holy; and the house of Jacob shall possess their heritage… And they shall possess the Negev, the mount of Esau, and the Lowland, with the [land of the] Philistines; and they shall possess the field of Ephraim, and the field of Samaria; and Benjamin with Gilead. And the great exile of the children of Israel, that are wandering as far as צרפת [France], and the exile of Jerusalem that is in Sepharad, shall possess the cities of the Negev. And saviours shall come upon Mount Zion to judge the mount of Esau; and the kingdom shall be God’s. This entry was posted in Archaeology & History, Holidays and tagged Acre, Alfred Dreyfus, Alter Rebbe, Chabad, Christianity, Czar Alexander I, Europe, France, French Empire, Gematria, Israel, Jerusalem, Jewish State, Mashiach, Moscow, Mount Zion, Napoleon Bonaparte, Napoleon's March, Negev, Niggun, Ovadia (Prophet), Palestine, Paris, Prophecy, Redemption, Russia, Sanhedrin, Sepharad, State of Israel, Temple, Theodor Herzl, Tisha B'Av, Vilnius, Zarephath, Zionism on August 1, 2017 by Efraim Palvanov.